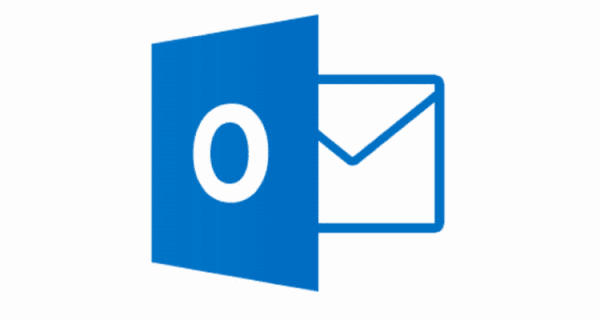 If you find yourself with a contact group list file (.MSG file) that you would like to import into Microsoft Outlook 2019, 2016, or 365 you may wonder how it’s done. We have the steps for you. 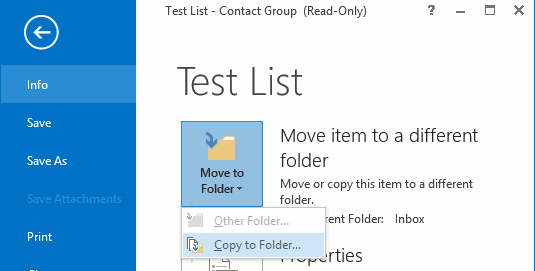 If you receive the group list via an email attachment, simply open the email, then drag the attached .MSG file down to the “People” icon at the bottom left corner of the screen in Outlook. 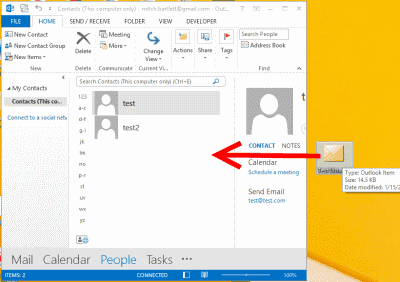 If you the file it in a location on your hard drive such as your Desktop, simply select the “People” option at the bottom of the Outlook window (Shows as a two person icon), then drag and drop the .MSG file to the window. From the “Info” area, select “Move item to a different folder“. After the list is imported, you will be able to select it from the “Address Book” option when composing an email. Fantastic advice. I spent hours trying to sort this out. 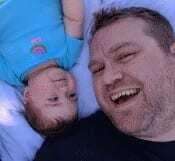 Your fix worked first time! Thank you!